Our love for our Panathinaikos makes us feel more human. 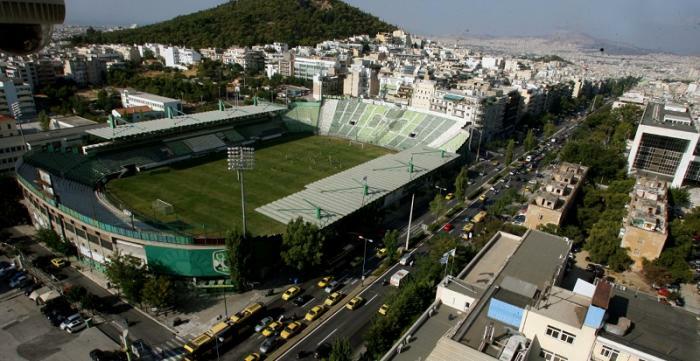 The history of Panathinaikos is inextricably linked to the forefront of Greek football inside and outside the four lines of the field. Athletes and countless fans with the shamrock on their chest will always remind the persistence of Giorgos Kalafatis to found Panathinaikos in 1908, by the time that football was still an unknown word for most people. Since then, we became a synonym of history, sports and culture of the Greek capital. Even in the era of the “Great War”, when the team was playing from time to time with the one of the Allied Forces till the end of the occupation, when for the first time the Greek flag was raised at the stadium of Leoforos as a symbol of freedom, Panathinaikos constituted an integral part of the Athenian society. We were united, standing all together during the happy and the sad moments. We were standing all together in every season, with its own requirements, steadily motivated by our love for Panathinaikos, which was making us feel much more human. 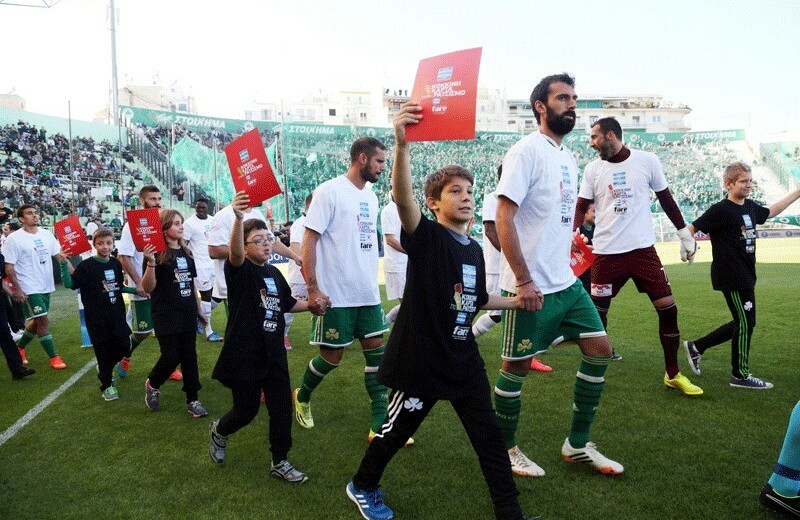 It is an historical duty for Panathinaikos, then, to participate in every activity in order to support our more vulnerable fellow citizens and to strengthen the social balance. For our Club, any discrimination (racial, religious, etc) is absolutely contrary to our founding principles, to the values ​​of sports and the ethical belief of our fans. These is why our actions are constant and include, among others, the participation of Panathinaikos in international networks for social assistance, like Fare network and the European Football for Development Network, which organize or assist several events implemented by other institutions. They provide sports equipment, support to institutions and welcome disadvantaged social groups at our team’s “G. Kalafatis” training center and “Ap. Nikolaidis” historical ground. Activities to support socially excluded groups (i.e. visits to penitentiary institutions) and reception of vulnerable social groups at the ground and at the team’s training center (i.e. friendly match with the homeless national team). «Leoforos shows a red card to racism», actions against at the team´s ground. Actions concerning toddlers, sports education, their health and the protection of the environment. 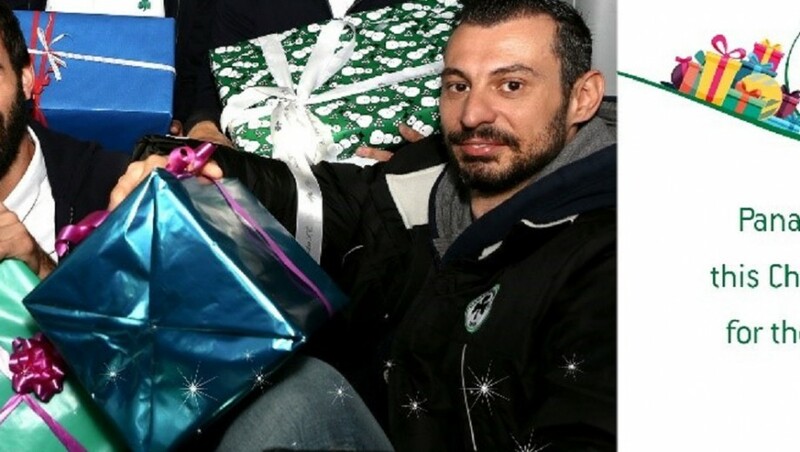 Panathinaikos Soccer Schools bestow a unique first price in their tournaments, which is the one for the “Fair Play”, because good players are first and foremost good teammates. PANATHINAIKOS F.C, as a Club with international impact, responds to the requirements of institutions, coming also from abroad, requesting our contribution and promotes solidarity among people and fans all over the world. Panathinaikos FC Scored for a Good Reason!